Welcoming guests into your home can be fun, but it can also be overwhelming. Creating a space that makes guests feel comfortable can take some of the pressure off of you. 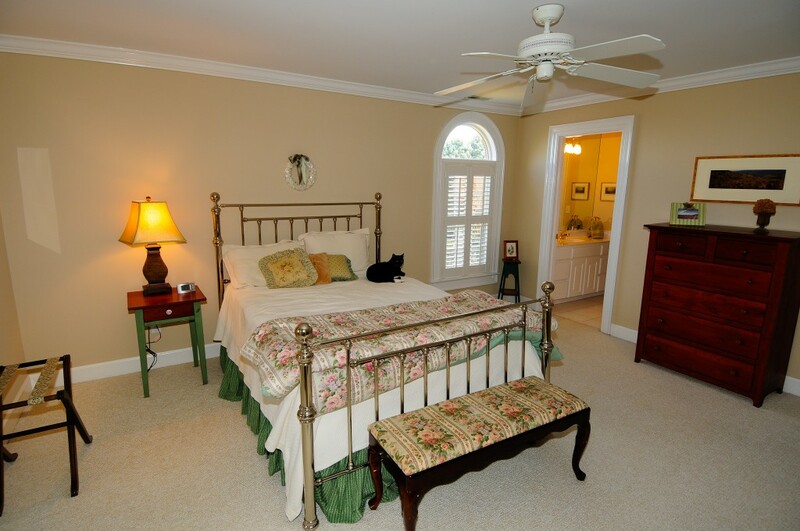 Arranging a guest room that is always ready for people to drop by can eliminate some stress when preparing for guests. It will also help anyone feel at home in your house. Make sure the bed is made up with fresh, clean sheets and at least two pillows. It would be considerate to make extra blankets and pillows available for your guests so they can make themselves comfortable. You can place them in the closet or a chest so they are out of the way, but be sure to show your guest where they are. Small items in the room can make a big difference for your guest. Include a mirror on the wall or a hand mirror. Set out toiletries such as nice soaps and lotions. You can even include an extra packaged toothbrush and a small tube of toothpaste. Set out towels and washcloths so that they don’t have to ask you for these items. Make sure there is also a wastebasket available and easy to find. These little things make your guest feel comfortable and welcome. Be sure to place an alarm clock on a bedside table within easy sight and access. Your guest will especially appreciate one that lights up to allow them to see the time when they awake during the night. Make space in the room for your guest’s luggage. Clear out some space in the closet and dresser so they can unpack and have easy access to their clothes. Also place a small doily on the dresser or nightstand so they can have a place to keep their toiletries and other items. Include a comfortable chair and reading material. Short stories, magazines, and inspirational books are all ideal material. If your guests needs some time away or likes to get up early or stay up later than everyone else in your household, this will be very appreciated. Include a mini fridge with bottles of water, soda or other drinks you know your guest enjoys if you have space in the room. You can also set out a small one cup coffee or tea maker. This is ideal for early risers. Then you will not have to be the first one up to get the coffee going. Set out snacks such as granola bars or apples and oranges. The more you can offer your guest without them needing to ask for it, the more comfortable they will be. These thoughtful touches in your guest room will help your guest feel comfortable and make your job as host easier. Then you can all relax and enjoy each other’s company. What would you put in your perfect guest room? Whole grains are better for your body. They provide much needed fiber. Trythis recipe from Eating Wellfor whole grain waffles. Using a fruit sauce instead of bottled maple syrup will add important nutrients and vitamins to your breakfast. The recipe calls for cherries but you can also use the super food blueberries to increase your antioxidant intake. A warm bowl of oatmeal. Eggs are an incredibly healthy food. Eggs contain good cholesterol and are not associated with heart disease. Eggs contain antioxidants and nutrients that prevent age related eye disease and promote healthy brains. Eating protein in the morning also helps your body regulate blood sugar all day long. Eggs are quick to cook and can be eaten in so many ways. For an added healthy dose of greens which are rich in iron, sauté a little bit of spinach in the bottom of the pan. Then add eggs to scramble. This makes a fast, nutritious, hot breakfast. Scrambled eggs rolled up in a whole wheat flour tortilla with some salsa is another quick and easy way to eat eggs. If you want to have breakfast ready when you wake up, you can start it the night before. Use steal cut oats to make this hearty recipe from Eating Well. The fruit will add plenty of flavor so you won’t have to use extra sugar. 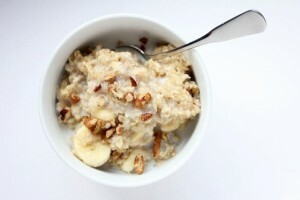 Slow cooked oatmeal can feed a lot of people or it can be stored and reheated in the microwave for several breakfasts. Cream of Wheat is an excellent, fast hot breakfast. Use this recipe from TheKitchn, which adds an egg to get the extra nutrients and protein. It will transform regular Cream of Wheat into a delicious custard-like breakfast. Whether you have time to enjoy a slow relaxing meal or need to grab your breakfast and run, there is a healthy and warm option for you. You can start looking forward to the mornings and a hot meal to warm you up on a cold morning. What’s your favorite hot breakfast?